More studies are linking stress to sickness, and some are making a direct connection to autoimmune diseases, or conditions that cause the immune system to attack healthy tissues. When the term “autoimmune disease” comes to mind, that often prompts thoughts about well-known conditions such as lupus, thyroid disease and rheumatoid arthritis. A growing category of autoimmune diseases have caught media attention lately, especially as they relate to stress and lifestyle factors, including Celiac disease, Crohn’s disease, Hashimoto’s disease and irritable bowel syndrome. Another category is burgeoning as well. Often hard to diagnose, these diseases seem to come from nowhere. They’re often classified as “idiopathic,” meaning they have no known cause and no known cure. In fact, I was diagnosed with one of these stress-induced idiopathic diseases in 2010. After a year in a mind-blowingly stressful job, where I kept working even when I was sick in bed, I developed idiopathic thrombocytopenic purpura, an autoimmune disease that destroys the platelets in the blood. Essentially, if I got a cut, it would take a long time to clot. That’s nerve-wracking if you think about accidentally getting hurt — or even nicking yourself with a razor in the shower. I left my stressful job and took a round of prednisone, and my symptoms have largely stayed at bay. But since then, I’ve met several people who mysteriously also have the same strange, unique disease. For my friends’ dad, for example, it meant he couldn’t fly for his job as a pilot until he got his platelet numbers back into the normal range. Scary stuff. 1. Stress-induced autoimmune diseases are becoming more prevalent. More than 50 million Americans live with an autoimmune disease, and 75 percent are women, according to the American Autoimmune Related Diseases Association. In fact, the Department of Health and Human Services’ Office of Women’s Health reports that autoimmune disease rank No. 1 in a top ten list of most popular health topics requested by callers at the National Womens’ Health Information Center (and womenshealth.gov). Although the exact cause of autoimmune disease is multi-faceted — genetic, environmental, hormonal and immunological — researchers report that at least half are attributed to “unknown trigger factors.” Physical and psychological stress play a major part in that, scientists began emphasizing about a decade ago. They’ve also noted that a huge proportion – maybe up to 80 percent – of patients had uncommon emotional stress before an autoimmune disease occurred. 2. Essentially, stress breaks down our cells and body functions. When your body is stressed (and packed with the cortisol hormone), it becomes inflamed. When you’re persistently stressed, you have chronic inflammation, and that leads to tissue destruction and autoimmune disease. This is related to both genetics and the environment — such as diet, stress and other infections, New Zealand researchers said earlier in March. 3. That breakdown leads to more serious diseases. Scientists in France published two studies in January and February about autophagy, which is essentially the way our bodies maintain balance by killing and getting rid of cells. The process can go awry during times of extreme stress, however, which can lead to inflammatory, autoimmune, metabolic, and degenerative diseases, they concluded. In dealing with stress, the pendulum can swing too far, and our body can destroy too much, which can lead to cancer, diabetes, obesity, heart disease and brain disease. 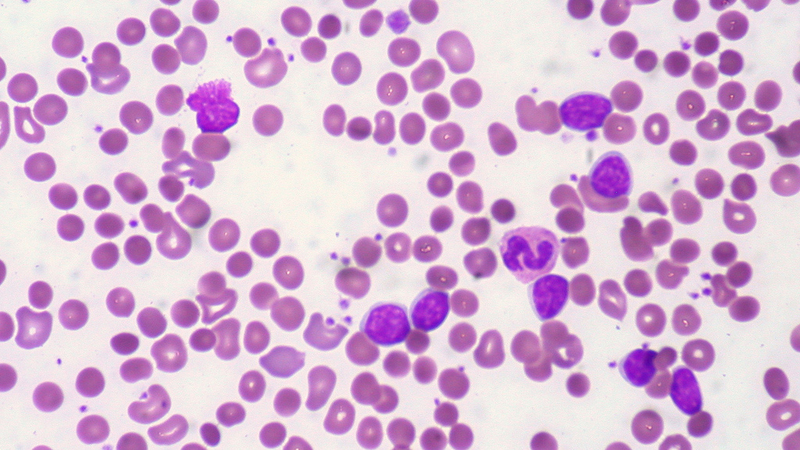 One group reviewed recent research about how this happens with leukemia in particular, and the other group looked at the different types of autophagy and the potential for treatments. 4. Even if diagnosed with a serious condition, there are often treatments. Doctors are becoming more attuned to the growing prevalence of autoimmune and inflammatory diseases and are recommending anti-inflammatory drugs, immune suppressors and antibiotics — or a combination — to fight back. In my case, for example, corticosteroids such as prednisone are the recommended medicines to try first, then harsher chemicals given as IV-injections or even chemotherapy. The recommended remedies are changing rapidly, too. Australian researchers, for example, suggested in February that a new experimental drug could help with inflammatory bowel disease, which can sometimes by treated by current drugs, but not always effectively. 5. Don’t forget the “natural” treatments as well. In the overall research, and while doing my own as a patient, nutrition and exercise still seem to be the best ways to prevent — and treat — autoimmune diseases. It makes sense, doesn’t it? If we throw our bodies out of whack, the natural way to get back into a normal rhythm is through healthy eating, movement, meditation and sleep that we already require to be healthy. Last month, a group of professors from New York University and Tel-Aviv University in Israel published about their mindfulness-based group therapy for patients with lupus. They found that breathing exercises, body awareness and muscle relaxation helped patients cope with the disease and become more positive about themselves and their futures. Similarly, a group of researchers in London found mindfulness-based intervention helped patients with multiple sclerosis. In a study of mice with an autoimmune disease similar to multiple sclerosis, running on a wheel reduced disease symptoms and stress. Interestingly, the scientists observed that the exercise benefited the male mice more than the female mice and wondered — could this be true in humans as well? Scientists are finding new areas of research for autoimmune diseases daily. For instance, scientists at Indiana University published a study in February about predicting and preventing the development of autoimmune type 1 diabetes. It’s still hard to find early indicators, and researchers have been looking for biomarkers that show if cell stress is occurring before the disease reaches the diagnosis phase. Could we see this diagnosis development happen with other diseases as well, even obesity and cancer?